Reductions in the College's retiree health care benefits plan for faculty and staff were contested at the Fall term meeting of the Faculty of Arts and Sciences, held in Alumni Hall on Monday. The meeting culminated with a motion to send the proposed new plan to the Committee on Faculty for further review. Under the current plan, 100 percent of an employee's health care expenses not covered by Medicare are covered by the College. Under the proposed new plan, the College will cover only 40 to 85 percent of those costs for current employees and will not cover any of these expenses for new employees beginning Jan. 1, 2009. The spouses of faculty and staff will also no longer receive any funding towards these expenses. In his presentation to the faculty, Adam Keller, executive vice president for finance and administration, said that the plan is designed to place differing burdens on different constituencies, with those faculty furthest from retirement -- and therefore with the most amount of time to save -- being the most affected. "Understand, now, I don't want to sugarcoat this in any way. This is a reduction in the benefits that the College is providing," Keller said during the meeting. "It happens to everybody, but there is a set of priorities about who gets most affected." The plan, which had been released before the meeting, was met with widespread dissent from the gathered faculty, who numbered about 70. Disappointment with the limited level of faculty involvement in the plan's creation was extensive. "I read this as a fait accompli. I read that the faculty of arts and sciences is really going to have no voice in it," Ronald Green, professor of religion, said. "The whole direction is really troubling to me." The College's coverage for current employees will be calculated from a formula that adds the employee's number of years of service and his age to produce a percentage of coverage. The plan also calls for the institution of a hardship program for existing retirees and a "health savings fund" for future employees. The College would match employee contributions to this fund up to $3,000 during the employee's first five years at the College. The proposed changes, generated by a health insurance working group convened by the College Benefits Council, come from a mandate passed down by the Board of Trustees in 2003. At that time, the trustees pointed specifically to retiree health benefits as an area in which the College's financial liability is too high, Keller explained. Keller maintained that the CBC is interested in collecting feedback from faculty and staff over the next two months before the proposal is revised and implemented. "We remain firm on the commitment to take care of this liability on our balance sheet," Keller said. "But I think that we're open on how best to make that change and how best to minimize the impact on people." Several of the faculty who spoke expressed regret that many younger members of the faculty, who would be most affected under the new plan, were not present to take part in the discussion. Questions about whether the plan would produce tangible savings, rather than causing faculty to push back retirement dates, were also raised by several faculty members. 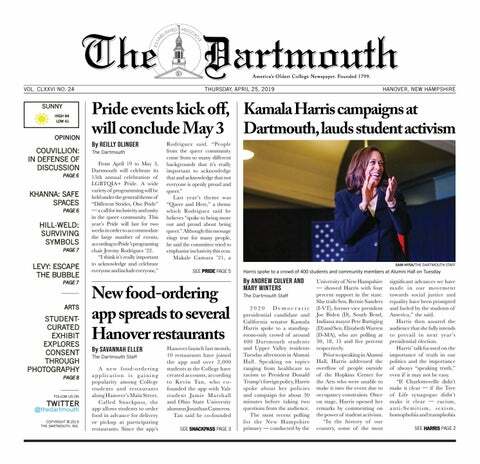 The plan's differing effects on undergraduate faculty members, staff and the faculty of Dartmouth's professional schools also became a point of contention during the meeting. The proposed changes were presented to the College staff's union leadership last week. Though the plan was met with disapproval, Keller said that the union's current contract, which expires in July, precludes the group from rejecting benefits which apply to all employees. Following prolonged debate, French Professor Mary Jean Green moved to remand the issue to the COF, who will make a recommendation to the faculty during Winter term. The motion passed without any dissenting votes. College President James Wright said that he supported the faculty's choice to look for further input on the issue but noted that he could not assure them that a recommendation by the COF would have a specific outcome on the plan. "The faculty is not going to be able to make a determination on this," Wright said during the meeting. "I would not like to see the faculty and the board coming to this at loggerheads. We have enough loggerheads around here right now." Before debate on the plan began, the gathered faculty approved the procedural rules for faculty meetings, a step that must be taken every year. The group also approved motions to change the membership and functions of the Council on Computing, a group that advises the College on technology issues. The change will have to be approved by several other constituencies of the general faculty before it can take effect. A motion to insert the word "art" into the titles of the Division of the Arts and Humanities and the Associate Dean of the Faculty for Arts and Humanities was also approved during the meeting.